Do you like to make the Easter basket about more than just the chocolate? Four new books from Pauline Kids will make excellent additions to your child’s Easter basket this year. Jesus Our Savior: the story of God’s Son for children by Patricia Szczebak is an adaptation of Bible stories about Jesus. Written for independent readers in second grade and up, it would make a great read-aloud for children as young as age four. Most chapters are about three pages long, so this book is perfectly formatted for bedtime reading with your children, a chapter or two each night. This Bible storybook is faithful to Gospel accounts, adding only a bit of historical detail (such as a simple explanation of leprosy) to help young readers understand the stories better. Our Blessed Mother: the story of Mary for children by Marilyn Evangelina Monge, FSP, is from the same series as Jesus Our Savior. 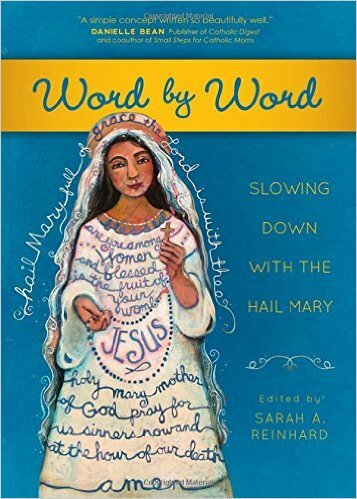 This book is divided into two parts: The Life of Mary and Mary Leads Us to Jesus, which covers the Marian apparitions at Carmel, Guadalupe, Lourdes, and Fatima, the Miraculous Medal, and a quick how-to on praying the Rosary. The book begins with a good explanation about how we honor Mary but do not worship her, and also that we get some of the stories of Mary from Tradition. The Life of Jesus is a graphic novel by Ben Alex, illustrated by José Pérez Montero. This book brings the Gospel stories to life in a different way; more and more kids ages 10 and up are very into the graphic-novel format, so this will appeal to them without boiling down the message. The narrative is very action-oriented but does not leave out the numerous occasions in the Bible where Jesus goes off by himself to pray. At the bottom of each page, you’ll find the Scripture reference for the story depicted there. I’d recommend this for tweens, teens, and Confirmandi. Divine Mercy in my pocket by Marianne Lorraine Trouvé, FSP, is a small booklet, about 3 1/2 x 5 1/2 inches, that helps kids learn to pray the Divine Mercy Chaplet. 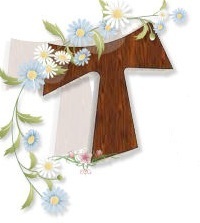 In addition to the prayer instruction, the first half of the booklet contains a short biography of Saint Faustina, as well as some information on the meaning of the prayers and how and why we celebrate Divine Mercy Sunday. The rest of the booklet is titled “How Can I Share Mercy with Others?” and discusses the Corporal and Spiritual Works of Mercy in language children can understand. Paired with a Rosary, it would make an excellent First Communion gift idea. Tuck one (or more) of these books into your child’s Easter basket this year — right next to the chocolate bunny. November is the Month of the Holy Souls, but it kicks off with All Saint’s Day: a time to celebrate the saints we know by name as well as those whose saintly virtue is less well-known, but no less important to God. This November, encourage your children to learn more about the saints of the Church! Pauline Kids, a division of Pauline Books & Media, has published several books about saints — including one book about how to be a saint! Let’s begin with a peek at a book about the child visionaries (two of whom are now saints) of Fatima. Mary and the Little Shepherds of Fatima is a picture book just right for a bedtime story or classroom read-aloud. Written by Sister Marlyn Monge, FSP, and Jaymie Stuart Wolfe, this book recounts the experiences of Jacinta, Francisco and Lucia in 1916 and 1917, when they saw visions first of an angel and then of the Blessed Mother. 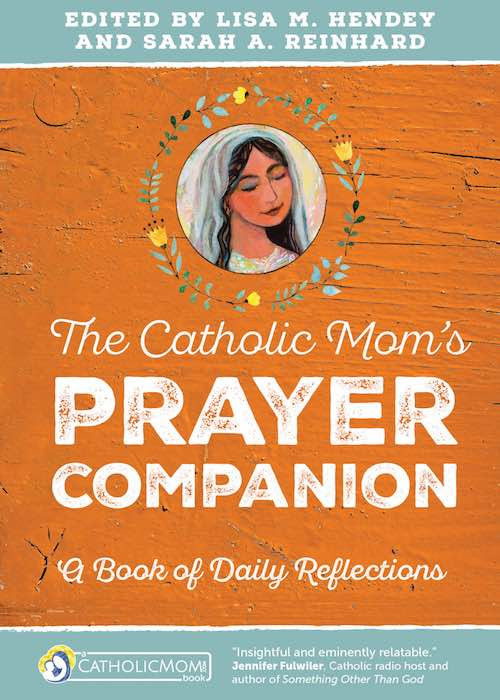 This sensitive retelling of the Fatima miracles concludes with four pages about prayer, including instructions on praying the rosary, and a parents’ page explaining more about the Fatima visions. This sweetly-illustrated book is perfect for children in kindergarten through third grade. Children in this age group will enjoy Mary Our Mother, a coloring and activity book about (you guessed it!) the Blessed Mother. Coloring pages depict the major events in Mary’s life, and are interspered with activities encouraging children to think about their own families and ways they can help others, as well as Bible-trivia activities. My favorite section included coloring pages of apparitions of Our Lady, including Fatima, Aparecida (Brazil), Guadalupe, and others. Prayers such as the Memorare and Magnificat are also featured. I wanted to get some crayons out and color some of these pages! You might think that the graphic biography of St. Clare of Assisi doesn’t include dramatic battle scenes. But there’s no lack of suspense when Clare slips away from her childhood home through an ancient tunnel, on her way to follow Francis and embrace a life of poverty. Saint Clare of Assisi: Runaway Rich Girl doesn’t gloss over the episodes of Franciscan lore that include kissing lepers and receiving the stigmata; Clare is included in the scenes of both of these events. And there is a battle scene depicting the Eucharistic miracle where St. Clare, holding the monstrance, defends her holy place and her city from an attack by the Saracens. I saved my favorite book for last: How to be a Hero. “This book is a training manual,” author Julia Harrell notes in the introduction. The book is organized by virtue, with 11 saints matched up with the four cardinal virtues, three theological virtues, and four “little” virtues. Most, but not all, of the saints featured in this book are more modern-day saints such as St. John Paul II, Blessed Pier Giorgio Frassati, Saint Charbel, and Blessed Chiara Badano, though St. Joan of Arc makes an appearance too. In the book’s conclusion, titled “You can be a hero,” the author notes that “there are as many ways to be holy as there are people” and encourages young readers to act virtuously. A Prayer for Virtue and Litany for the Virtues of the Saints round out the book, as does a discussion/journaling section titled “How can I train to be a hero of virtue?” Readers in fourth grade through middle school will enjoy this book. 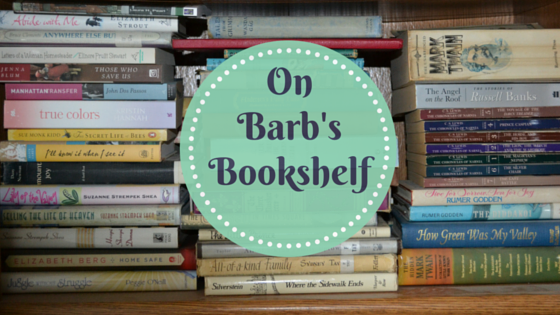 It’s always fun to learn that books you’ve enjoyed have won awards! It’s even better when you’ve met an author or have a local connection. That’s the case with two books for kids and teens from Pauline Books and Media, both of which won Excellence in Publishing Awards from the Association of Catholic Publishers this week. If you’re looking for books for your children and teens this summer, I highly recommend these two! Stephanie Engelman, whom I met last summer at the Catholic Marketing Network tradeshow and Catholic Writers Guild Conference, proves that a story doesn’t have to be edgy to be compelling. In her YA novel, A Single Bead (Pauline Teen, 2016) teenage Kate finds faith in an unlikely way: through the stories of others who have been touched by the prayers of her grandmother, killed in a plane crash a year ago. From my review: The novel opens with Kate’s extended family gathered around the plane-crash site for a memorial service. Needing a moment to get away from the tension and grief, Kate stumbles toward a wooded area where she finds a shiny bead–one from her grandmother’s custom-made rosary that had silver beads with the initials of her loves ones engraved on each. Kate doesn’t find just any bead. She finds the one with her own initials on it. Kate and her cousins go on to discover that other beads have been found, and that the people who received them have experienced physical or emotional healing. Could it be that her grandmother’s prayers have such a deep effect? Thus begins a journey of faith for Kate, whose extended family is deeply Catholic but whose own immediate family is less engaged in the faith. But faith is exactly what’s needed, because Kate’s mom has fallen into a deep depression after the plane crash a year ago. Kate hopes that finding other pieces of the rosary will help heal her mom. This compelling novel is appropriate for students in grades 5 and up and challenges the reader to lay aside the idea that a prayer or a sacramental can be a “magical” thing. It is refreshing to read about an extended family whose life is centered on faith. 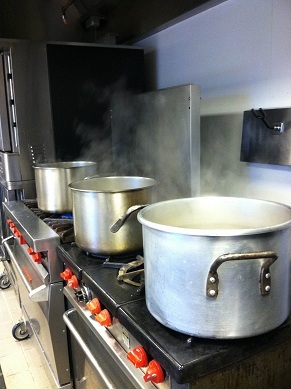 Author Ellen Lucey Prozeller writes from my diocese (Trenton, NJ). Her book, 32 Days: A Story of Faith and Courage, is a historical fiction account of the life of a little girl in China who, with her family, was forced to practice her Catholic faith in secret. From my review: After her church was desecrated by Communist soldiers, Pei makes the risky decision to sneak into the church at night to pray before the Blessed Sacrament. The story is told from Pei’s point of view. 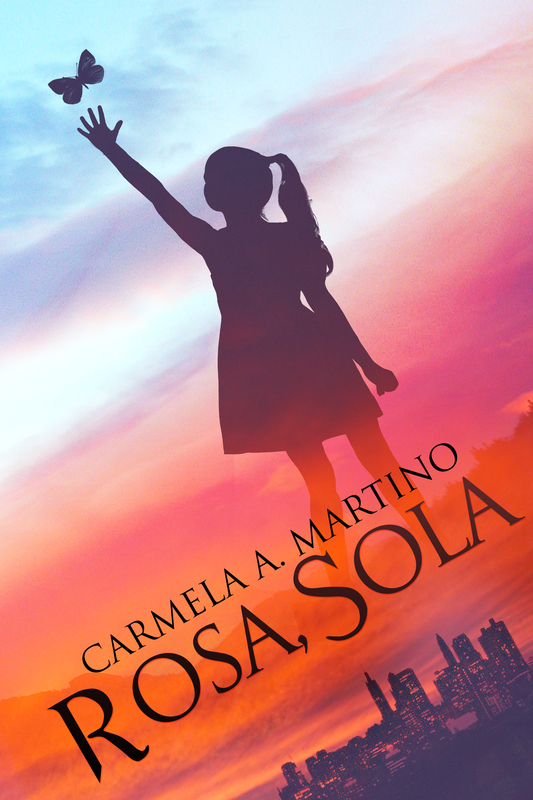 Readers in grades 3 through 5 will learn about a child their own age who lives her faith in a time of oppression: a young, unknown Catholic hero. Here’s a book the whole family can enjoy together as the Christmas season winds down: The Strangers at the Manger by Lisa M. Hendey. Number 5 in the “Chime Traveler” series of chapter books for kids in grades 2 and up (younger as a read-aloud), this novel finds twins Patrick and Katie traveling through time to Bethlehem, where they accompany Mary and Joseph through their attempts to find lodging and stay with them until the Holy Family flees to Egypt to escape Herod’s attempts on Jesus’ life. Readers will feel as if they’re really there, encountering shepherds, Magi and even Anna and Simeon in the Temple. Hendey’s account of the Incarnation weaves Gospel stories seamlessly with the fictional addition of modern-day visitors who find ways to help Mary and Joseph take care of their newborn son. The stories incorporate a level of detail that will fascinate children who want to know what life was like during Jesus’ time. Lisa Hendey’s devotion to the Blessed Mother is particularly evident in the way Mary is portrayed in the story. Books in the “Chime Traveler” series always focus on a lesson the children must learn before they can return to their own families; this book centers on a refugee family seeking shelter in the twins’ parish church. This series is published by Franciscan Media.